Swimming is an important skill. Children's early experiences in the water influence their future participation and the successes they achieve. Choosing the right swimming school for your child is the most important decision parents can make. We have spent a lot of time and effort making this web site a true reflection of what your child will experience. Spend some time reading the information and get to know a group of the most dedicated swimming instructors you will ever meet! This is the perfect way to introduce your child to the water. Lessons are fun and structured to familiarise children and parent with skills that will become essential as the child develops. Parents form close emotional links with their children in the water and it a great time to communicate the positive and enjoyable aspect of this activity through play. We provide a structured development program “Learning to Learn”. With high teacher to pupil ratios the focus is on teaching very young children to take part, follow instruction and learn skills that contribute to swimming well. Making the experience fun and developing positive relationships is essential. Beginners of all ages follow the same program. Children are taught key skills that are essential and the building blocks to developing a good efficient technique. This foundation allows the body to function comfortably and effectively ensuring injuries are not trained in. Bad technique can cause long term problems on shoulder joints and other parts of the body. Teaching a child to swim is about trust. It is the only popular sport where a teacher often has to deal with genuine fear of the water (How many potential footballers have a fear of treading on the grass?). When a child gets into the water, they have to learn to balance and to control themselves, in a medium that does not offer any solid support. Then we have to teach; legs, arms, rotation, coordination and breathing, in four different strokes. 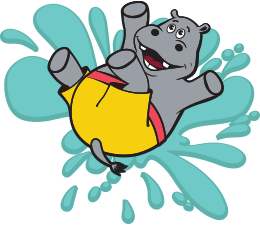 Our aim is to ensure your child’s transition into an excellent swimmer is fun, easy and as rapid as possible. Our development program is simple. Intermediate classes are really to fine tune basic skills that are not quite there yet. For example body position, effective leg kick, rotation and breathing. The children will take part in “Drill” based technical development throughout their time with us. The drills will be completed properly and be a fundamental key to success. Olympians still do drill, it ensures that even through ongoing physical development, your child will always come back to technique work on a regular basis. One of the most common problems communicated to me by parents has been where does my child go from here? The child can swim well, enjoys their swimming lessons but wants’ more. There is always a route through local swimming club. This entails commitment, as the nature of competitive swimming is the more you train the better you get. Weekends are often given up to competitions, and this is not for everybody. Many parents for one reason or another cannot afford or have other commitments that make the move to club extremely difficult or in some cases impossible. The swimming school offers two, one hour sessions that teach children all the skills they would learn at club level. Training sessions focus on speed, stamina, multiple stroke development, dives, transitions, starts and turns. We have mixed age and ability relay races and always come back to technique development on a regular basis. Swimmers stay with the swimming school for many years because the one hour per week session gives them a regular fitness regime that is complimentary to so many other sports and activities they participate in. As they say, “It’s never too late! Most adults have a basic fear of swimming because of old fashioned and antiquated teaching they may have received in the past. We use the same principles as with the children. Teach control in the water, and then teach them to swim. Most individuals, with a few basic changes, can make excellent swimmers. We are pleased to be a part of the curriculum swimming lessons at both Stanley School, and Pensby Primary school. We are working with both schools to improve general swimming ability in the short term while meeting the requirements of the national curriculum. This is a wonderful opportunity. My staff and I are very excited about the initiative. We will also have provision for intensive courses (Three days a week) over the summer weeks at DW for children who are not currently customers. Places are however limited. "Bank Holiday Monday", lessons on this date will run from 2:00 pm as follows. 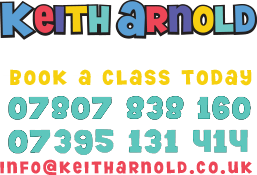 © Keith Arnold Swim Schools. All Right Reserved.